SEMENYIH, named after a word in Negri Sembilan dialect which means “hidden”, has arguably lived up to its name for first-time travellers to this small town in Hulu Langat. It takes about an hour from Kuala Lumpur, through the smooth lanes of the North-South Expressway before exiting at the Kajang Selatan toll plaza. Before you know it, you will find yourself in a traffic gridlock at the town’s main artery, aptly named Jalan Besar, which means “main road”. It is flanked by banks, clinics and hardware stores. 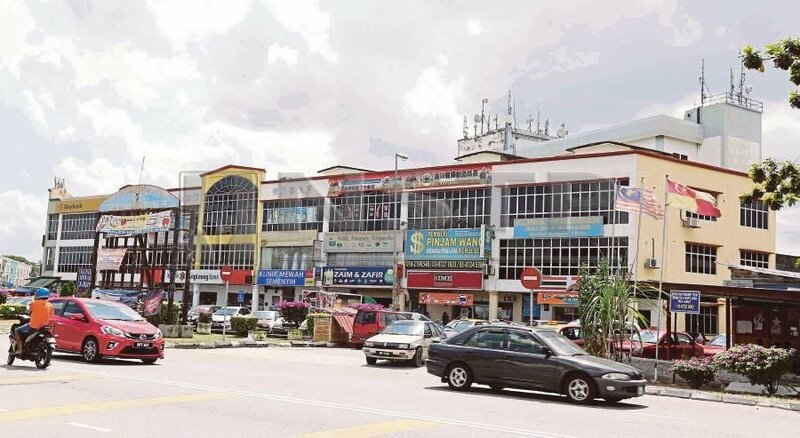 Semenyih is reminiscent of Rahang town in Seremban in the 1990s; old, mossy structures sandwiched between modern counterparts. Semenyih is the sixth constituency to undergo a by-election since the 14th General Election (GE14), after its 57-year old assemblyman Bakhtiar Mohd Nor of Parti Pribumi Bersatu Malaysia died of a heart attack on Jan 11. Bakhtiar had secured a comfortable 8,964-vote majority for the state seat, defeating Barisan Nasional, Pas and Parti Sosialis Malaysia. Semenyih has 54,503 registered voters, comprising 53,520 ordinary voters, 951 early voters and 32 absentee voters, according to the Election Commission. Malays form the major voting bloc at 68 per cent, followed by Chinese (17 per cent) and Indians (14 per cent). It has 23 district polling centres, with at least 12 Malay-majority areas, including Kampung Tanjung, Kampung Baharu Semenyih and Kantan Permai. But due to the upcoming contest between at least two Malay-majority parties and the current political landscape, will the community remain collective in its decision? in several demographies such as Semenyih. Halimah Abdullah, a 58-year-old who sells Malay cakes near Jalan Besar, believes Malay interests and Islam are at the heart of every Malay there. “Even if you don’t pray five times a day, I believe that the community will wholly agree that our interests and the sanctity of Islam as a way of life, should be upheld. You can be from any party but the Malays here should be reassured that nothing can come between them and Islam,” Halimah said, gazing at a billboard showing the Selangor menteri besar next to a slogan “Membangun Bersama Islam” (Growing with Islam). What was conveyed by Halimah represents the importance of looking into the majority’s sentiment, political analyst Associate Professor Dr Awang Azman Awang Pawi said. from the Seafield temple incident. In GE14, Bakhtiar’s victory was largely due to the swing of Malay votes, who chose to oust their former two-term representative Datuk Johan Abdul Aziz, who had managed to rake in only 14,464 votes against Bakhtiar's 23,428. On the surface, the locals were comfortable about picking Bakhtiar due to, among others, the fact that he was a Malay Muslim from a Malay-based party. “My family, for example, did not vote for Bakhtiar just because he was from Bersatu. We believed that he was a good Muslim and fighting for a good cause. But this is not to say that Johan is otherwise. “It simply means that we have a choice. Bakhtiar was a familiar face here from Kampung Pasir. You could always meet him near his house at Jalan Sungai Lalang,” said technician Mahmud Abas, 39. Professor Dr Awang believes that similar to the voting pattern in Cameron Highlands, the right candidate would largely determine the rate of success. Based on previous patterns, BN and PH are expected to field Malay Muslim candidates. PSM is said to field Nik Aziz Afiq Abdul, whose fashion sense resembles a Pas ground worker — a skullcap and utility vest — while one popular social activist, Kuan Chee Heng, also has announced his upcoming candidacy and commitment to adhere to “Islamic ways” should he be elected. If the punditry is accurate, Malay interests and Islam will once again become a common political theme among the candidates, including for Kuan. Analyst Professor Dr Sivamurugan Pandian said conversely, the interests of other races may also be raised in order to preserve traditional voter blocs by certain parties. “Pas, which will not be running this time around, may call on its supporters to focus on the need for the unity of Muslims at the polls. Can PH retain its current popularity to win Semenyih? Undoubtedly, the Malays play a vital role as arbitrators and thus, it is imperative, in the context of Semenyih and as a political strategy, to look into race-based sentiments. The numbers reveal that BN should not rely on Pas' votes to win the seat, since the party won only 6,966 back then. PH, on the other hand, should consider the possibility of splitting votes due to its current handling of issues related to Islam and Malays. On a broader spectrum, regardless of its stand to view electoral issues beyond racial or religious creed, PH might not be able to afford neglecting local undercurrents. The outcome of the Semenyih by-election will be a barometer to further define people’s political sentiments. Who'll step down for Anwar? Are you the bride TLC is looking for?